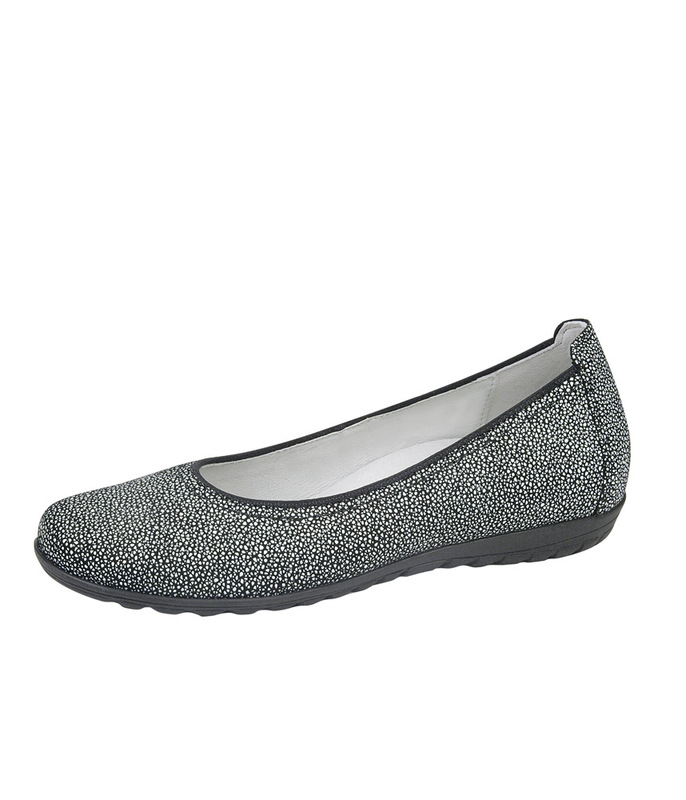 These are a Lovely Leather Ballerina style shoe from Waldalufer in a pretty black and white dotted print. 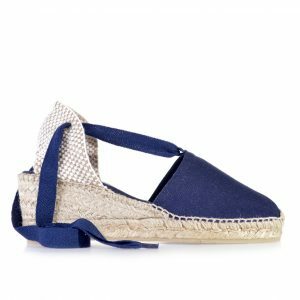 These are perfect for your every day look as they are super comfy to wear but also ensure a super stylish. 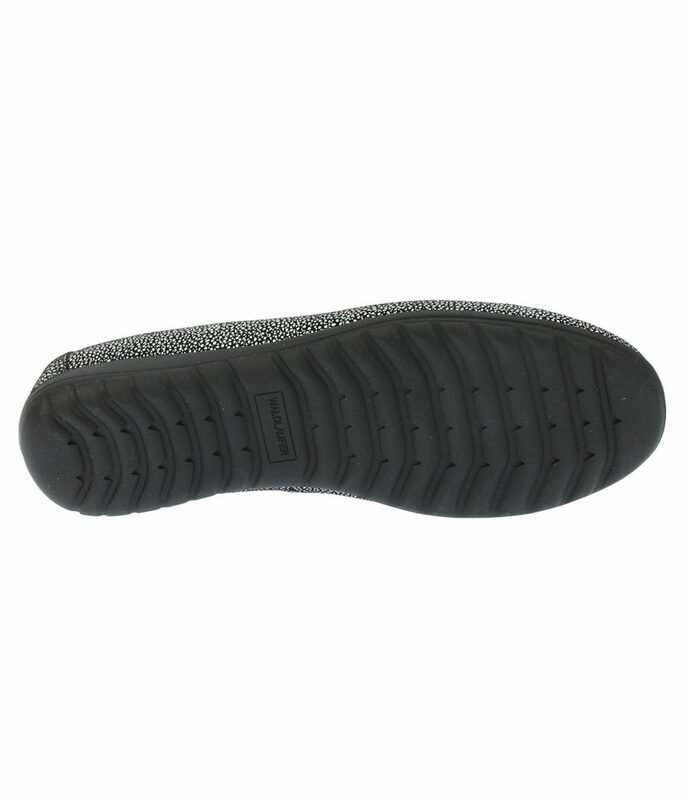 The slip-on shoe has a leather lining, a rubber sole with a profile that ensures a good grip and a removable leather insole. Large size ballerina wide fitting shoes for ladies size 9, size 10, size 11 and 12 (UK), in 43, 44, 45, 46 (Euro) and in sizes 11, 12, 13, 14 (US). Fashionable, Elegant and Beautiful footwear for larger size feet. These are a Lovely Leather Ballerina style shoe from Waldalufer in a pretty black and white dotted print. 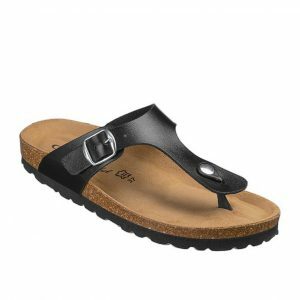 These are perfect for your every day look as they are super comfy to wear but also ensure a super stylish. 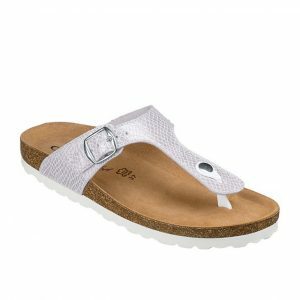 The slip-on she has a leather lining, a rubber sole with a profile that ensures a good grip and a removable leather insole.